Yet another spider web. This one, freshly minted, just opened for business. Another day, another web. 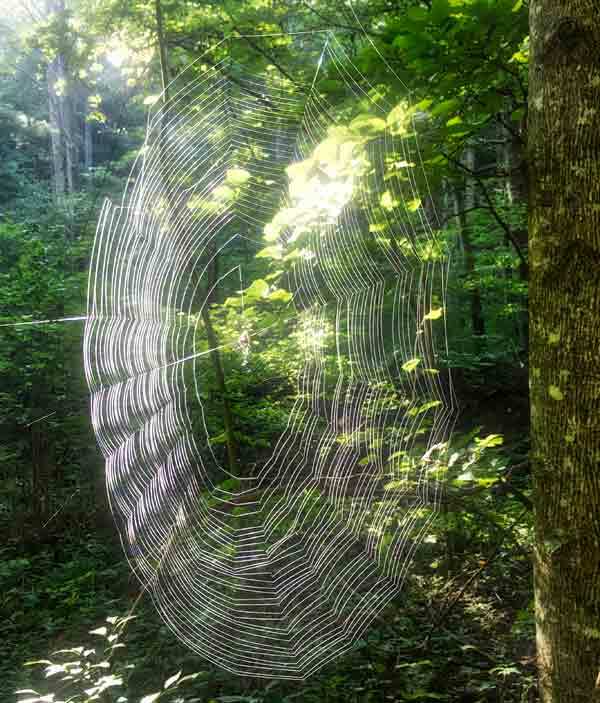 If you’re an orb-weaver, it’s your work. It’s what you do. No big deal. But I never tire of wondering how the radians are calculated so that each turn is just so, and the next inner-loop just exactly follows within an eighth of an inch the loop before, all the way to the office–that position in the center at the junction of a vertical and a horizontal raceway to dinner.